In a bid to promote peaceful election in the upcoming general election in Nigeria, the United Nation (UN) Women, The African Union (AU) and The Embassy of Germany on the 30th of January, 2019 organized a 1-day women leader forum aimed at “Promoting peaceful election” at the Transcorp Hilton Hotel, Abuja. 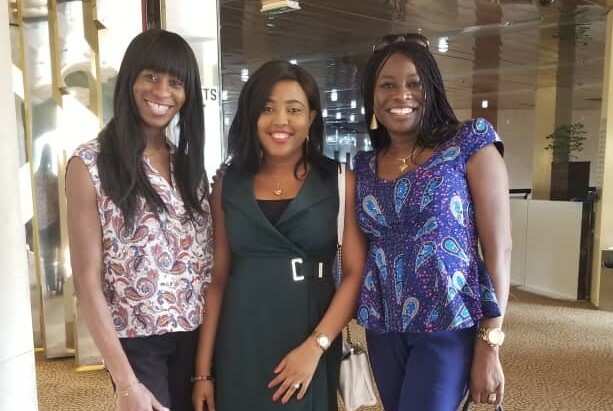 The president and founder of WAAW Foundation, Dr. Unoma Ndili Okorafor and the Chief Operating Officer, Mrs Loveth Imo were amongst the women leaders at the meeting. “We are working to ensure that our youth participate in the election and become agent of peace” said Dr.Unoma. UN Women works on measures supporting women’s political participation across the electoral cycle, including through coordinated efforts with UN system partners. One major focus is the adoption and implementation of temporary special measures or quotas, a proven mechanism for increasing the number of women in politics. The UN Women Representative to Nigeria, Ms Comfort Lamptey, said violence against women remained one of the most serious obstacles to realisation of women’s political rights these days and could virtually disenfranchise women elections, with effects on the society that multiply from the resulting democratic deficit.